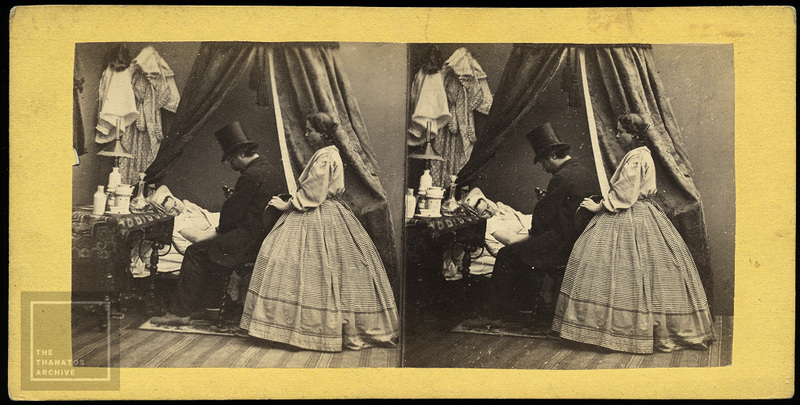 Follow our Instagram account for post mortem and other photos from our collection. 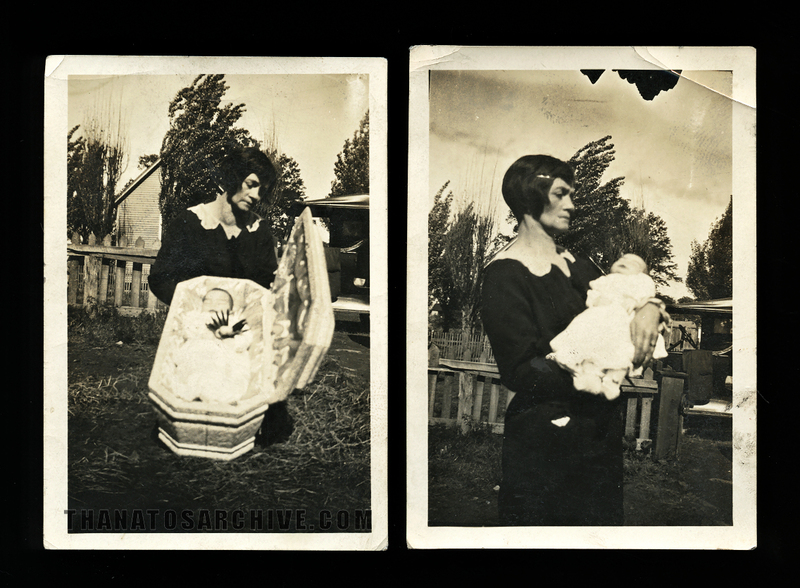 Woman with her deceased infant, probably taken at the family home immediately before heading to the cemetery (note the waiting car with the open door in the background). 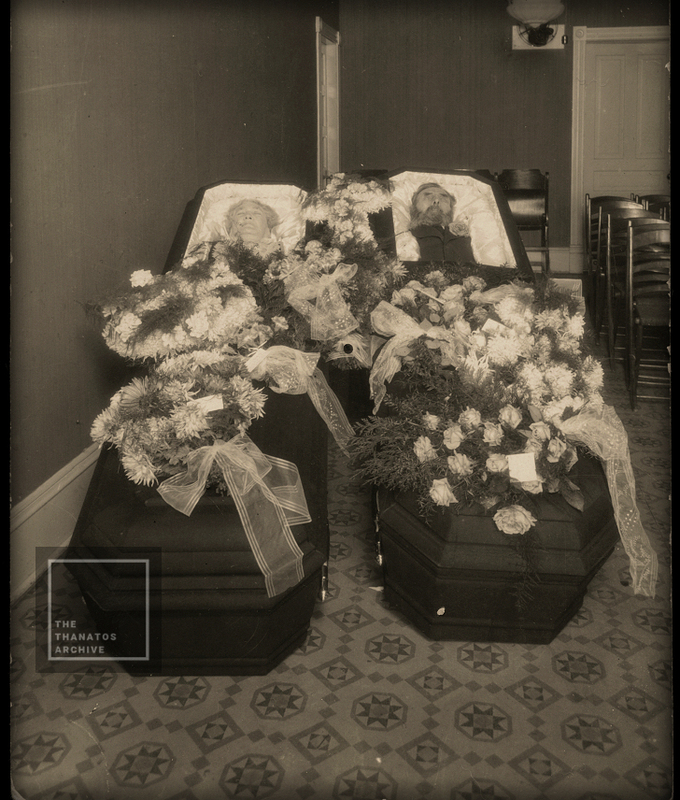 [ Half-plate ambrotype, 1863 ] The grave of Thomas Henry Johns, who was born in 1836 in England. 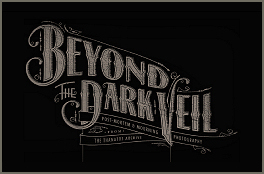 Around 1860, Thomas, his two brothers and their wives came over to the US and soon started working as miners at the Minesota (correct spelling) copper mine in Rockland, Michigan. 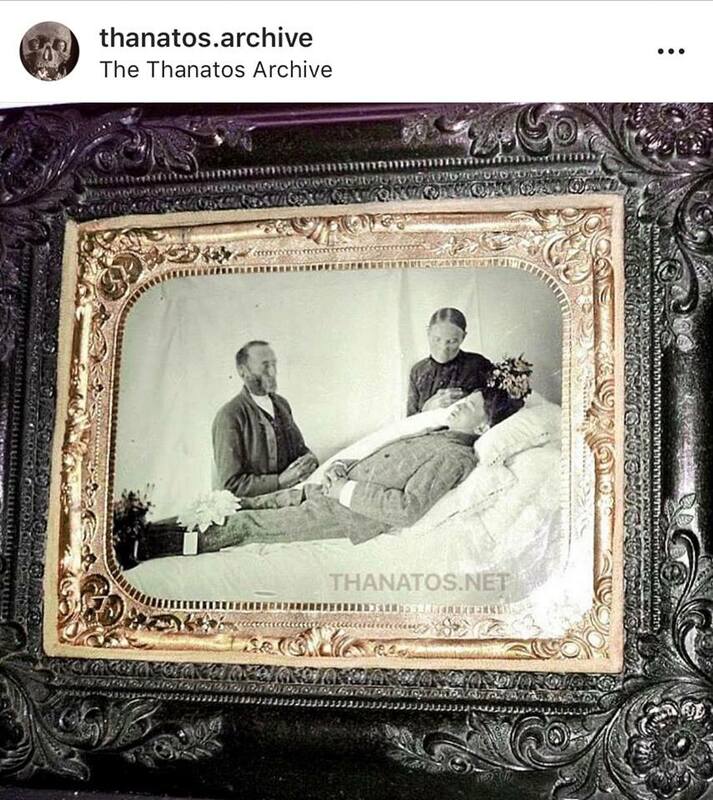 In August of 1863, Thomas died after falling down a mine shaft… (you can make out the word “accidental(ly)” on his grave marker); his wife Ellen was about 5-6 months pregnant at the time, and went back to their hometown of Breage, England almost immediately after Thomas’s burial, where she gave birth to Thomas, Jr., and died 56 years later having never remarried. In 1863, Rockland wasn’t even an official town yet, it was just a few settlements of about 80 houses set up by the Minesota Mining Company for the miners and their families.. you can see some of the homes in the background. In 1864 the three settlements were consolidated into Rockland. 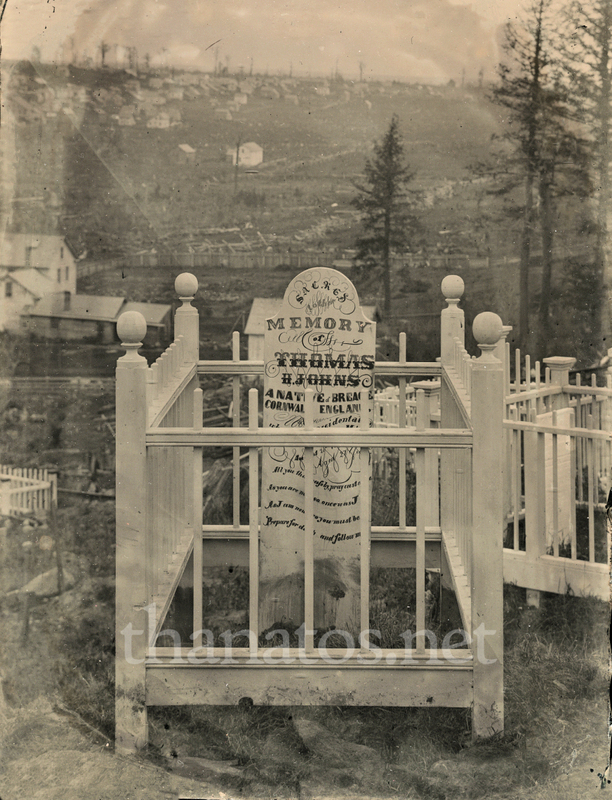 I’ve had this ambrotype for years but have never been able to find the exact location of Thomas’s grave.. just that it’s somewhere in the hills around the mine. It looks like it was made of wood, so there’s a good chance that all trace of it is gone now; pics I have seen of the area where the mine was shows mostly overgrown woods where the mine was (https://www.mindat.org/loc-16394.html). 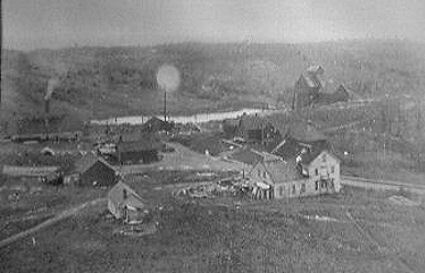 I found this early pic online labeled Minesota mine.. the big white building looks like it might be the same seen in my ambrotype. 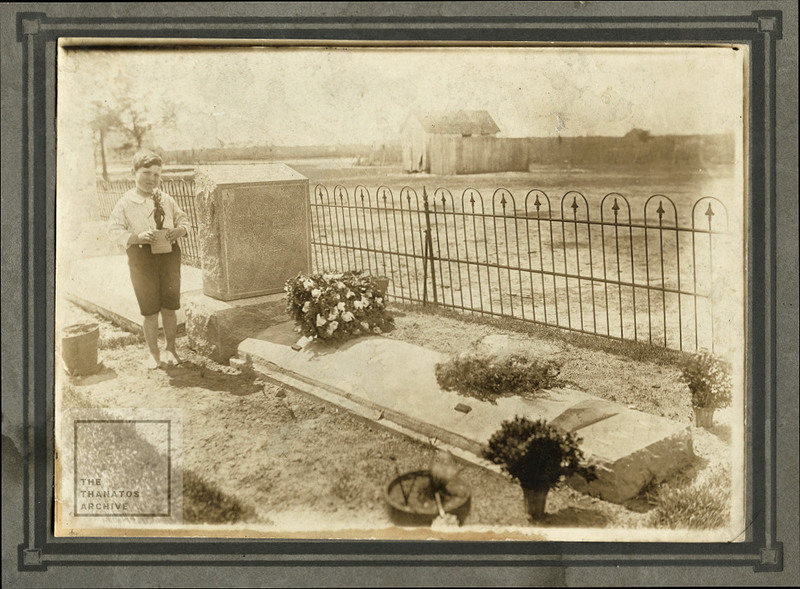 Gottlieb and Mary Lenz, who died in Caddo County, Oklahoma in 1945. To this point I have been unable to find their cause of death, but will keep looking!